At QuakeCon, Bethesda announced DOOM Eternal was coming to the Nintendo Switch at some point in the future. The game will be handled by port specialist Panic Button and will include a new "Invasion Mode" where players can enter other player’s campaign runs. The Invasion stuff is just kind of one of the ways that we’re going to make the Doom experience social… But we’re not really going deep into that. We are working on a PvP component. It is new. It’s not an extension of what we did last time. So it’s new. It is something we’re developing internally, which we didn’t do last time. I think players are gonna really enjoy it. Creative director Hugo Martin reinforced this statement by saying the new multiplayer is very good. The previous DOOM title included a selection of multiplayer deathmatch modes. 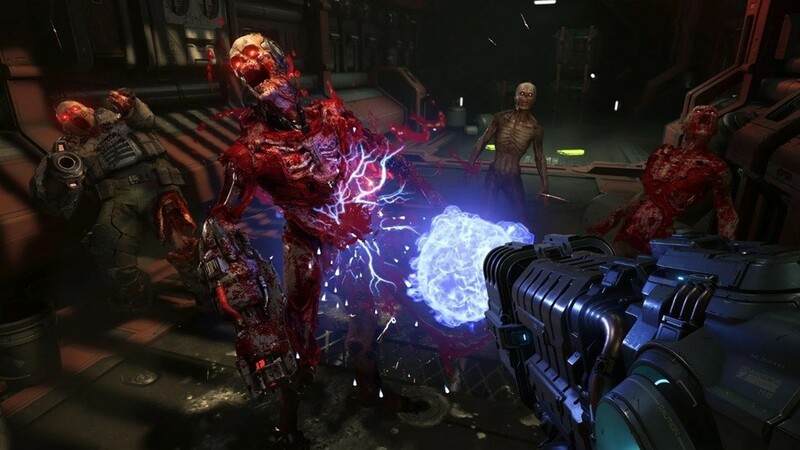 Would you like more traditional multiplayer modes in the upcoming DOOM game? Are you eager to try out the Invasion Mode? Does multiplayer in a game like DOOM even interest you? Tell us below. Multiplayer is always a good thing. As long as it's similar to the old days of FPS ala Quake and Unreal Tournament, I'll be happy. @Deadlyblack I would love an Unreal Tournament Gold. The Invasion mode reminds me of the various seamless multiplayer modes in Watch_Dogs on Wii U, which I thought was brilliantly implemented (you can "hack" or be "hacked" by other players). I used to periodically hit pause to load the menu because if the game/environment was still active during the menu/pause screen, then it meant that the game was online and that another player was nearby, so I would look out for anybody moving or driving in an unusual fashion and I would (or at least try to) blow their brains out. Invasion mode getting turned off instantly!!! Love the idea. Brilliant but not for me. I like how the invasion mode sounds. Other than that, Co-op is on of my favorite ways of multiplayer. I'm so getting DOOM Eternal on Switch. Gotta pick up Wolf 2, just finished Hollow Knight and currently playing the Adventure Pals, maybe Wolf2 will be next. Put it all on the cart or this is irrelevant to me. Is split screen too much to ask for anymore? Even something like Immortal Redneck with split screen pvp or coop would be welcome. I'm glad, because the invasion mode sounds like a terrible idea, and I'll be opting out as soon as possible. Seriously, who the hell enjoys having random strangers troll them on a regular basis? Just sounds like something for masocists and Twitch streamers. I'd rather play the traditional multiplayer, where shooting other players is the point instead of an unnecessary distration from the intended goal. This news just keeps getting better. if i see any rogue demons/players getting in my way in the campaign their going to be torn into pieces in a brutal way. 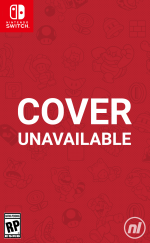 @gcunit : I am hoping that Nintendo will lead the charge with a 32GB cart for Smash (I don't see how it could possibly fit on a smaller cart without severely compromising the audio quality at the very least), which will hopefully encourage third parties to follow suit. I am not particularly optimistic though. The DOOM situation was bad enough and the fact that Wolfenstein II isn't fully available on the cartridge has been extremely disheartening as I want the game so badly (along with L.A. Noire), but I refuse to support this practice. I might consider it if I can grab the retail edition for AU$10-$20, but even that feels like too much. I would have paid full price for the local version and imported the censored German/Austrian version if the full game had been made available otherwise. I have been a fan of iD Software for as long as I have been gaming, but I simply cannot support this practice. The least they can do is issue a limited edition with the entirety of their games on cartridge. The higher cost of such a version would be offset by the cost that would be incurred by the user having to provide microSD storage, so I cannot fathom why so many idiots would justify a practice that works against them. I say bring on the so-called "Switch tax" if it means playing AAA games anywhere, but for God's sake, issue them on 32GB carts! Certain Affinity developed the MP part of Doom (2016). CA have a long history with co-developing MP modes for other titles, and I think they did a fantastic job. I know the MP wasn't all that popular but I think a part of that was due to the way the MP DLC was handled, and that the MP wasn't hyped to hell like COD, Overwatch, Fortnite etc. Smash will get updates, balance patches, ans DLCs. Might as well go digital on that one. I want my single player games all on cart so I'm disappointed with Wolfenstein 2. I'm still gettingtting it when it's half the price physically. I'm okay with DOOM having its multiplayer online mode as a download though. the good thing is that doom eternal for switch will be build from the ground up and most likely have a much higher resolution and fps plus switch version will run on the new gaming engine idTech7 as well. I really hope this game comes sooner than later . @Romeo-75 rather have doom eternal come out next year since this year its alrdy packed with games in the next few months. @aznable Oh God how would the game run on Switch if it had to do splitscreen Doom? MK8 halves its framerate with four players and that's an internally developed Nintendo game. Slightly off topic: what Hell is the one in DOOM based upon? Like is it entirely original while taking some loose inspiration from other concepts of Hell? I'm glad we're seeing so many articles on DOOM Eternal because that means we're not seeing the "no plans for a Switch version," article. That happened so often during the Wii U-era, I became almost accustomed to it. Now that there's a Nintendo console that gets even moderate "AAA" third-party support, it's refreshing. With all that said, I'm getting a lot of sunblock to prepare for my trip to Hell! @IronMan30 I completely agree with you on that except the part about being even close to accustomed to it. Each confirmation was just as frustrating as the last as almost everytime a game was announced without specific platforms, it was just then a period of me desperately hoping for a Wii U version only to be crushed. P.S. Does sunblock actually work against fire in Hell and in general? @Elvie I honestly didn't expect it, and was more annoyed gaming outlets kept writing stories about games not coming to a system. I don't think any console was like that, other than Wii U. Have never been a fan of online multiplayer modes. But the invasion stuff sounds super cool! Invasion sounds cool on paper, but I can imagine how awful it eventually gets when it serves mostly to halt your progress and send you to respawn. @IronMan30 I reciprocate that feeling. Oh, I see. I haven't watched unfortunately.